I grew up playing RTS games. As long as I can remember, they have been sitting on my computer’s desktop. One of my first non-educational, games was Warcraft: Orcs and Humans and I remember installing it with floppy disks. From there I played the likes of Tides of Darkness, Age of Empires, Red Alert to the more modern RTS games like World in Conflict, Generals and Starcraft 2. I have many, many fond memories of these older games, so last year I went back and played quite a few of them again. Some play poorly just due to the technical restraints the developers were under at the time, Warcraft: Orcs and Humans and Dune 2 fit that category well. It’s not necessarily their design which feels dated, rather it’s the mechanics of it. Things like poor pathing or weak unit selection options were decisions that were made because of technology, and while they’re frustrating, it’s weak design that bothers me. Two of my favorite games from my childhood were Age of Empires and Age of Empires 2, which was recently remade in HD. While going back to play these games (that are 15-20 years old) I found myself enjoying some older games more than others. After playing through a few older games I really started thinking about why some games have aged better than others. Was it on my end, had my tastes changed? Or am I older now, do I understand the basics of game design better now? After some serious thought on this I’ll do my best to work through this. 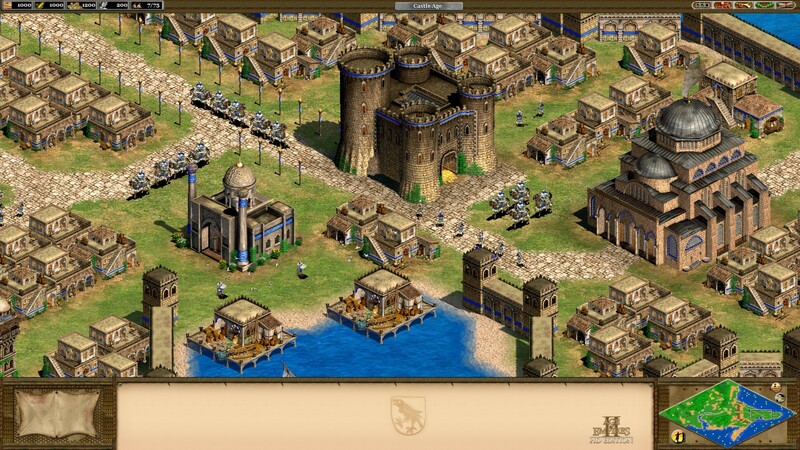 As a kid I probably played the Age of Empires series the most, behind only the Blizzard RTS games. I loved their historical campaigns especially. Their randomized multiplayer maps made each game unique, and Age of Kings had my second favorite map editor behind the Galaxy editor for Starcraft 2. As a child the game fit my skill set and style; I wasn’t very good at RTS games so being able to turtle very early helped, and you could build such strong defensive structures like towers and castles… it made my life much easier. I’d spend hours in missions and against AI just building the perfect base with a very nice sim city home layout, my production was all in a separate part of my town, can’t mix them you know. 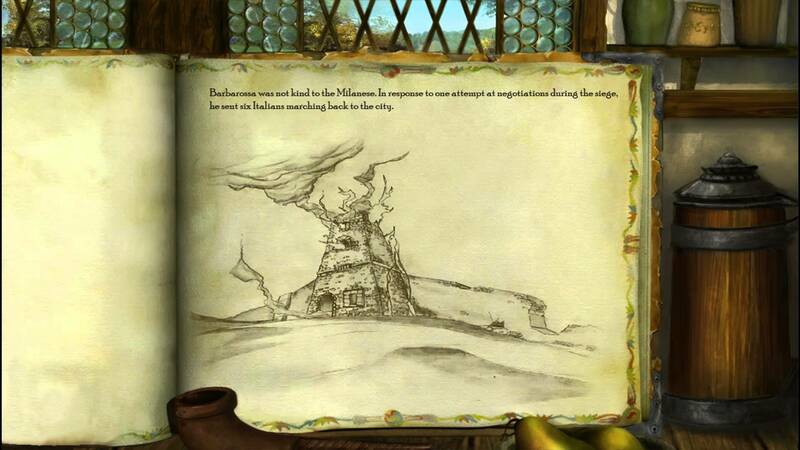 I did the same in the editor, making epic cities and placing huge armies outside that would try to break in. I put a lot of time into the series and have amazing memories of it. My disc of Age of Kings eventually became too scratched to use, as they often due, and despite some temporary fixes it eventually died in the early 2000’s. I didn’t touch it again until recently when I received the HD remake of Age of Kings as a gift. I installed it on Steam and jumped right into the Joan of Arc campaign, my favorite. After the great intro the missions have I started playing but was met with a problem, I wasn’t having fun and the game felt sluggish. I chalked it up to maybe the first few missions were just bad design so I tried another campaign, Barbarossa (he was pickled after he died, how could you not love that campaign), this one starts with much bigger armies and bases so I felt it should be more in line with how I remembered the game. Sadly it did not. I struggled through another campaign before returning to my true love in the game, multiplayer. I opened it up, typed a random number and selected my favorite faction, the Teutons. I prepped for the long game but half an hour into the match against the computer I saved and exited the game. I didn’t open up Age of Kings again for nearly a week as I tried to grapple with why I wasn’t enjoying the game. As technology has improved I have been playing games that are much more tightly controlled and the action was accelerated in RTS games since I had last played Age of Kings. Age of Kings is a fast game relative to it’s peers in terms of unit speed but it felt sluggish to control compared to games like World in Conflict, Generals, the Company of Heroes series and Starcraft 2. These modern games vary in their game speed but the units control perfectly, they respond immediately. Now looking back the slugglish nature of unit control wasn’t a big deal because combat wasn’t very quick, battles lasted a long time for the most part and units rarely died quickly except to certain siege weapons and their hard counters. Most modern real time strategy games feature much faster combat and units that die much quicker. Even Company of Heroes, a series with cover and units being able to reinforce, sees combat frequently and units either die or retreat fairly often. In other games like World in Conflict, Generals and Starcraft 2 battles are often large but units have such high damage and their is so much area of effect damage that opposing units fall quickly. As a young man I enjoyed the slower combat because I was much worse at the game and the slow nature lent itself to turtly games, which I loved. Now that I’m older and I’m much better at RTS games I much prefer the faster pace these modern games bring, there is less down time and more time is spent dealing with positioning, scouting and combat. The more I thought about this I couldn’t decide if my tastes just changed in the decade I didn’t play Age of Kings or if it was always, I don’t want to say poorly design but whether it’s style of gameplay wasn’t on par with other games. 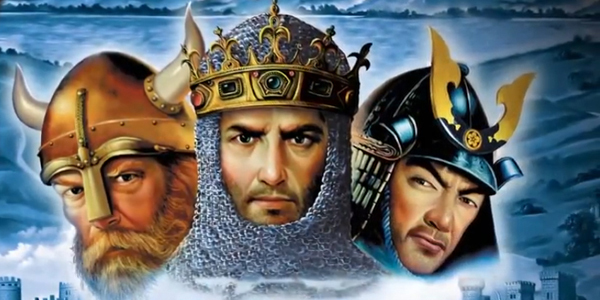 I have decided that my own skill and maturity did cause a change of taste but because I still have nostalgia feelings for Age of Kings and it’s still viewed very highly, I wanted to get an outside opinion. My wife has some RTS experience as I have gotten her into Starcraft 2 but she isn’t very mechanically fast and not very experienced so I felt she was the perfect test subject to see if my own changing tastes and skill made Age of Kings feel outdated or if it was the game itself. So she played through a few hours for me and came back with this conclusion. She liked that is was much lower pressure (which I agreed was a good design decision) but everything felt delayed. Despite being newer to the genre she wasn’t a turtle style player, she enjoyed sending her units out, even if it was just a small group. The problem for her is the game developed so slowly and she always knew what was going on. For most RTS games scouting and trying to control information is vital, in Age of Kings it’s much less so and that bothered her. While many top tier Age of Kings players finish their matches against each other quickly at her level she kept saying “the game feels like it’s forcing me to commit an hour or two to a match no matter what I do.” After a few games together we kind of reached the same consensus. Age of Empires 2: Age of Kings still ranks highly for among RTS history and will always have a place in my heart. I know it’s also extremely popular still and I am likely in the minority on this idea. Ensemble and it’s creation will remain a monolith for the million who have played their games, and rightly so, but for me I no longer play the game with no games logged in weeks. And to be fair, as I said, other games are hard to play too, this isn’t meant to say Age of Kings is alone in this, but as a game that helped shape my love for real time strategy it’s sad that it’s hard for me to play the game now. I still love this game and will forever, I believe they are coming out with a new expansion soon BUT understand where you are coming from. Yea and I still have a ton of great memories of the game and if I had to rank top 10 most influential RTS games AoE series would be there. Just for me now, I don’t feel as highly as I did in the past but that shouldn’t take away what it did for the genre. In my case, i also played Age of Empires II in my childhood and tested now the HD version. Is a bit slow, yes, but i think it´s because it have one achievement. It´s a game that a sim city player and a starcraft player can play. I like much Stronghold series, (indeed Stronghold I the most), and i have played Starcraft 2 and Total Anhiliation, but i hate the ultra-competitive style of Starcraft 2 for example. I like slow-paced games, with more simulation style, and less impact on fast decisions. So, i think the greatness of AoE II is to fill the gap between fast-paced competitive players and slow-paced simulation players. It´s more for an complete article, but i think the RTS can be separated in the tactical and the strategical level. Some players prefer long-term games, slow-paced, strategic games, with heavy economic and logistic rutines, and others more tactical, fast, and combat-focused games. The games that can fill the two styles more or less, are the “hits”. I 100% agree with you about having some aspects of sim games that are appealing, they are actually my favorite part of the AoE series now. Putting roads between homes, organizing my production, lots of walls. I know for a fact the reason I was so bad at the first Starcraft was because I tried to sim city my base haha. I understand why some people enjoy it today and as I said, I still think it was a hugely impactful series that deserves our respect, just for me personally, I no longer find it fun. I sort of felt how you did when going back to older games that I enjoyed. We’ve all been spoiled with all the innovations of modern games. I found that going back to the mentality of why I enjoyed the game back then can help but sometimes, the magic really is lost. Good read! I agree and it’s sad, I’ll always have those memories and I’ll stand up to anyone who says some of these older games always sucked, but just for me, their time has passed. Sadly, AoE:O doesn’t exist anymore and as such there isn’t a 3D AoE game with an active community out there. AoC is a great game many people enjoy but if it doesn’t sit well with people because of “modern” standards, the 3D AoE games deliver in spades. Most people don’t play them actively anymore, though. Just look up some pro matches from the last months of AoE:O’s life and you’ll see the rather unique and fun blend of AoE and modern Warcraft 3 (even SC2 falls into this category) gameplay. Honestly I find the pace of AoE2 moderatedly right for what it aims, to let the players recreate large “historical” battles and being able to create big sprawling cities. The Starcraft model pushed too much into a more competitive style AoK wasnt really aiming for. Warcraft 3 gets a pass at having units taking longer to die because there is loads of micro with so many unit abilities and positioning can become a huge deal. Take into account most of the AIs are rather slow to attack however. Against a human, the game plays much faster and in a LAN party you can hear the marketplace buy/sell icons being frantically clicked as gold supplies dissapear and wood becomes a proxy resource with everyone building mass cavarly and pikemen as shields until you can deploy more swordsmen and archers. That said, there is a certain latency between your commands and the actual unit actions, but I am not sure if this only occurs on the HD remaster, or also happens under the original games. The formations are trash tho. If you want to get more dissapointed, play AoE1. Now that game is slow, and the worker pathing makes resource recollection such a horrid experience. That said, the midi music is great. Have you recenly replayed Age of Mythologies or Age of Empires 3? The variation between a gambler and one that has taken some time to prepare themselves, may be the power to gamble across a broader variety.